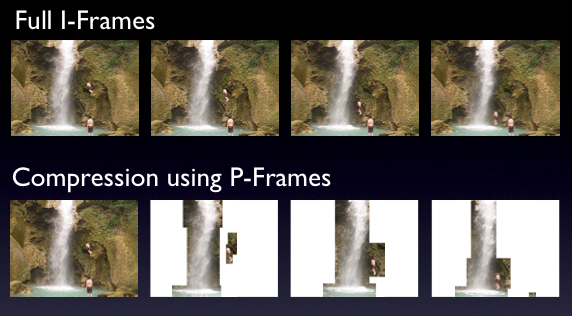 The term Intra Frame coding refers to the fact that the various lossless and lossy compression techniques are performed relative to information that is contained only within the current frame, and not relative to any other frame in the video sequence. In other words, no temporal processing is performed outside of the current picture or frame. Intra frames are preferred for digital archiving since any storage media corruption will effect individual frames rather than an entire group of pictures (GOP) as is the case with Inter Frame compression. TRUDEF™ uses its own file extensions .FVF (Fractal Video File) and .FIF (Fractal Intra Frame). TRUDEF™ video is compressed entirely as Intra Frames for maximum playback quality.